Bushey Gan was established over 40 years ago by the Bushey United Synagogue. It offers a secure, caring and stimulating environment for children aged from 18 month to 5 years, within a warm Jewish atmosphere. 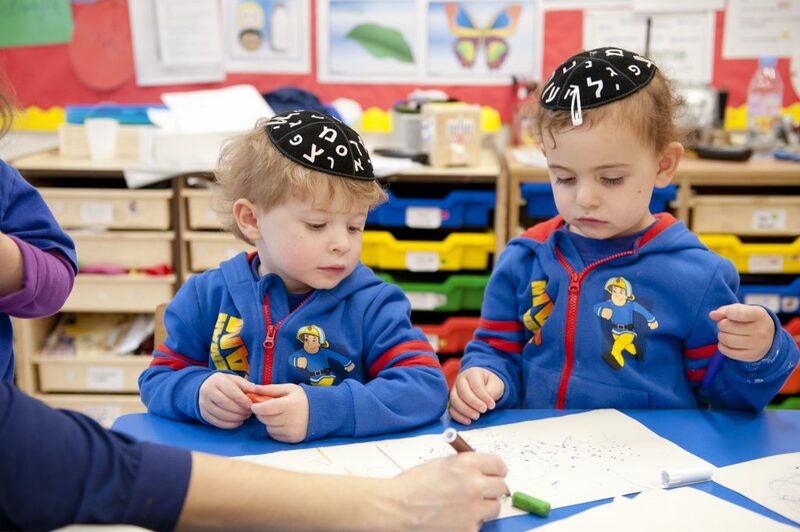 We provide an excellent educational start for children to learn through the Early Years Foundation Stage (EYFS) as well as learning the basics of Judaism, providing them with essential skills for moving on to ‘Big School’. We are very proud to have been twice judged as ‘Outstanding’ by OFSTED. Our younger children are based in the Sapling class, situated in the Bradley Krett Youth building. The Elm and Oak classes home our older children, situated in the main shul building. We have dedicated toilets and nappy changing facilities, and the classes open onto an outdoor playground with safety flooring. The school is registered with Hertfordshire County Council and OFSTED and is managed by our nursery manager/SENCo: Mrs. Michelle Peters. At various times we have been known as Bushey Ganim Lower and Upper School and Gan-Aviv Kindergarten. It is part of Bushey United Synagogue.